Trail-worthy strength meets up with everyday style in this pair of mid-height Timberland boots. 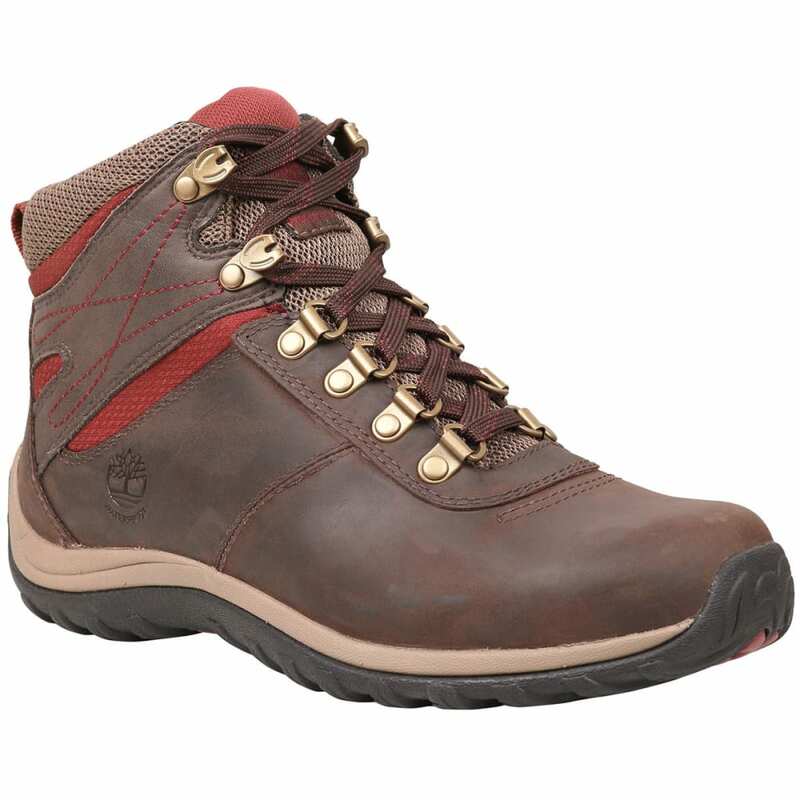 A streamlined silhouette highlighted by full-grain leather and contrasting pops of color gives it a fashion edge, but don’t be mistaken: This boot’s tough enough to handle wet and rough conditions through a lugged outsole, shock-absorbing midsole, and waterproof membrane. Avg. Weight (pair): 2.4-3.13 lbs.